She screamed past in the right hand lane, looking, I guess, to buck the system and move to the head of the merge lane. That I found this annoying will come as no surprise to people who know me—what with me pitching my tent among the vehicular moralists, always prepared to be irritated at the inconsiderateness of other people’s driving habits. Anyway, her driving misdeeds aggravated me less than something else (actually two something elses—one an aesthetic transgression, the other a more deeply disturbing transgression on a theological level). 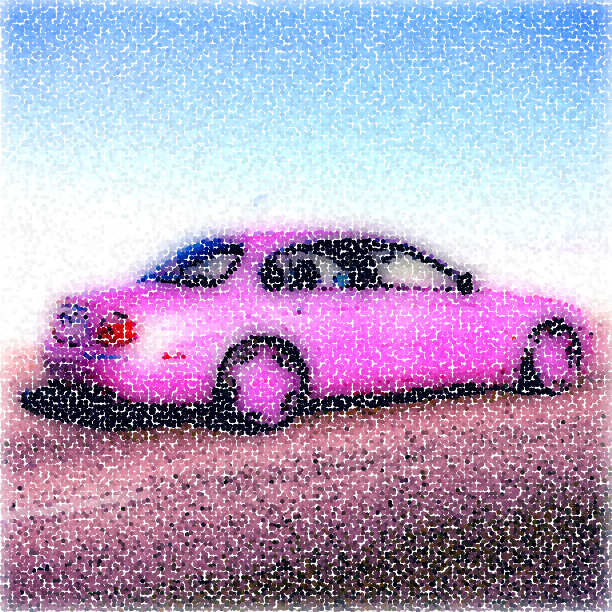 First, she drove a pink Jaguar—which struck me as an offense against propriety, because … you know … a pink Jaguar. Enough said. Second, and more importantly, she sported a bumper sticker (another aesthetic face plant, in my estimation, but whatever). No, my big complaint had to do with what was on the bumper sticker. On her pink Jaguar, driving 75 mph, trying to jump queue, was emblazoned the phrase: “My real treasure is in heaven”—which, taken together, is a veritable crazy-making bonanza. After that first wave of irritation, though, I started thinking about the whole “wherever-your-treasure-is-there-shall-your-heart-also-be” thing (Matt. 6:21).